Marks Demolition & Environmental Group was formed in July 2012 as a separate company to exclusively handle all aspects of our demolition services. Whether you need an asbestos inspection, asbestos removal, residential or commercial demolition services, we are equipped to meet all of your demolition needs. 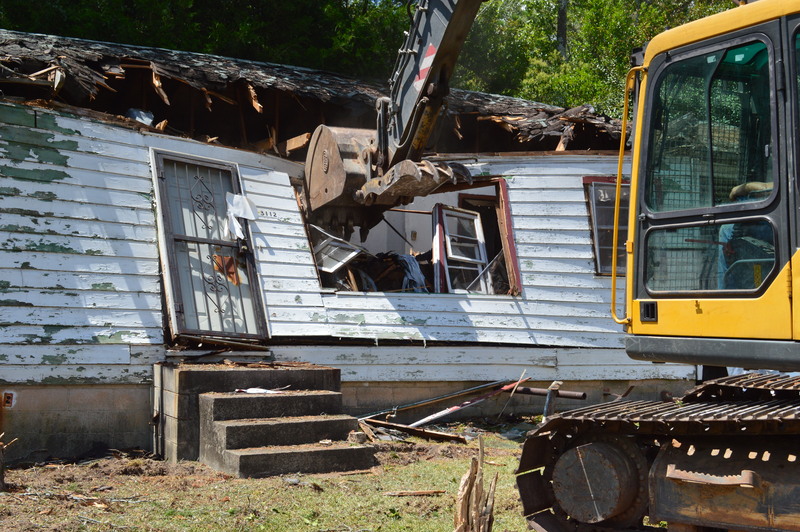 Marks Demolition is knowledgeable of federal, state and local requirements regarding the paperwork involved in legally following the necessary procedures for demolition. We handle all of the administrative details so you do not have to. Demolishing a home or business can be an intimidating task, especially with all of the code requirement issues involved. Our experienced staff can handle the whole process for you. Let Marks Demolition & Environmental Group help you with all of your demolition needs. For a consultation and estimate call today! John Partridge will be glad to assist you.